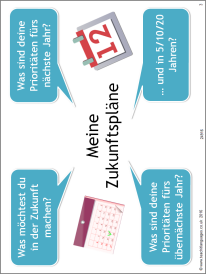 A lesson to help students think about their future plans in German and give reasons for their priorities before writing about this topic. Two interactive tasks and a diamond nine activity introduce useful vocabulary and phrases. Teaching notes included.